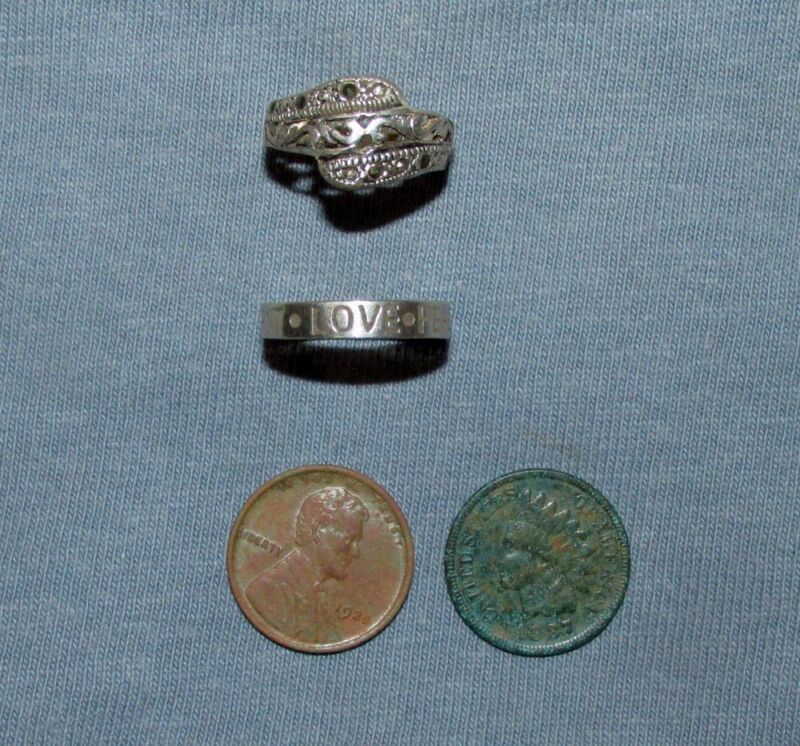 Also found two sterling rings, on the same day and within an hour of each other, then none for the rest of the month. Unusual find of five quarters stacked in the ground and all touching each other. 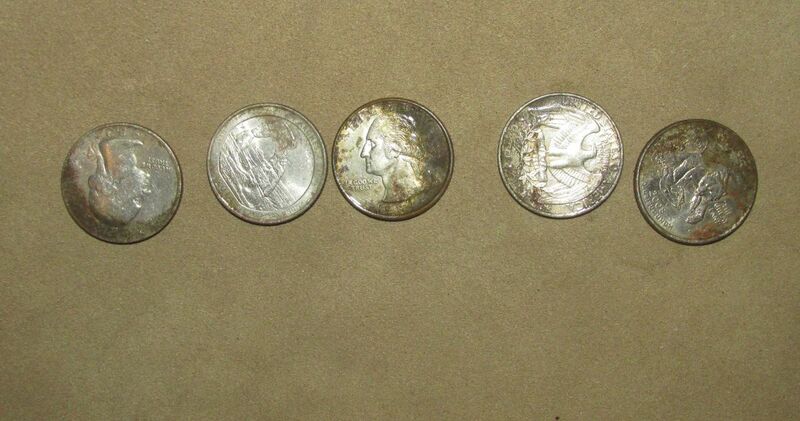 They were about 3 inches down and recovered with a probe. Coins disappear into the ground very quickly here. I did a probe and recovery, check the hole five times before the bank ran dry. Photo shows the lack of tarnish where they were touching each other. Better than digging zinc. Edited 1 time(s). Last edit at 09/05/2018 12:25PM by Sodbuster.